Cash-strapped councils could save up to £35 million a year from the introduction of a "deposit refund system" for drinks bottles and cans in England, a report suggests. The schemes aim to boost recycling of single-use glass, plastic and aluminium drinks containers by charging a deposit when people buy them which is refunded when the container is returned to a collection point, for example at a shop. The Scottish Government has announced plans to bring in a deposit refund system for bottles and cans, and Environment Secretary Michael Gove has said he will look at how a scheme could be introduced in England. Councils have raised concerns that their introduction could lead to a reduction in local authority income as people would use the schemes to recycle the valuable materials instead of using existing household kerbside recycling. But a study commissioned by a consortium of conservation, recycling and anti-litter organisations found that rather than costing councils money, it could save town halls across England millions of pounds a year. Local authorities would lose some income as there would be a reduced number of cans and bottles collected from households to sell to recyclers, the report, which looked at eight councils with both high and low recycling rates, found. But savings from having fewer containers to collect and sort, reduced levels of littering and lower charges from sending waste to landfill would create savings that outweigh the loss of revenue, the report by Eunomia Research and Consulting said. Across the UK, 35 million plastic bottles and 20 million aluminium cans are sold every day and many end up as litter, in the oceans, or in landfill sites. Evidence from other countries such as the US, Norway and Germany shows that the introduction of deposit schemes could raise collection rates above 90% and reduce littering, the report said. The consortium who commissioned the report was made up of Keep Britain Tidy, the Marine Conservation Society, Surfers Against Sewage, Campaign to Protect Rural England (CPRE) and Reloop, together with Melissa and Stephen Murdoch. Allison Ogden-Newton, chief executive of Keep Britain Tidy, said: "There is no doubt that introducing a deposit refund system would reduce littering in this country but, until now, there has been a concern that it would have a negative impact on cash-strapped councils. "This report shows that in fact a deposit return scheme would create savings for local government." 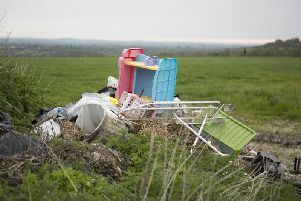 Samantha Harding, litter programme director at CPRE, said: "There are no longer any valid arguments that deposit refund systems don't work and the environmental case is crystal clear. "For our coasts and countryside, the cost of not taking action will be far greater than any incurred by the parts of industry that are trying to block this." She said Mr Gove could build on the success of the plastic bag levy, which charges 5p for single use carrier bags, and the ban on tiny plastics known as microbeads in cosmetic and personal care products, by confirming England would have a deposit system.